Love Ford? Are You More Of A Chevy Person?? Well, Back in the golden era of slick cars and roaring engines – muscle car makers were in a battle for the fastest and best ride. Today’s cars have come a long way in engineering and design – but nothing quite replicates the beauty and intrigue of a muscle car. These cars were engineered with top quality materials and had some of the best engines on the road today. 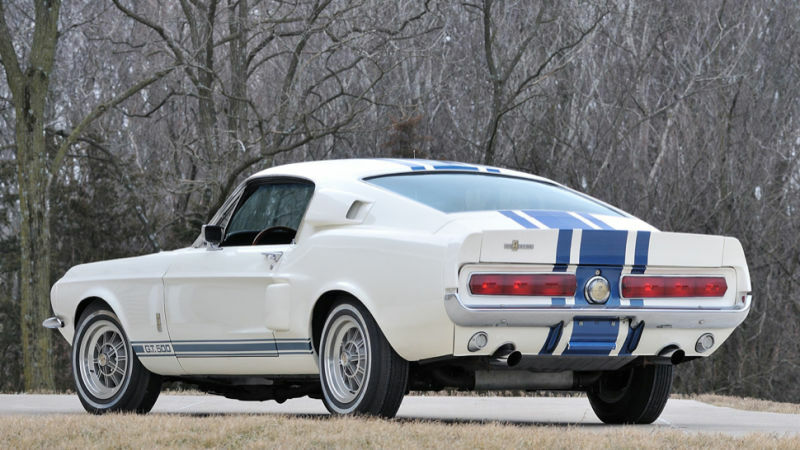 More than novelties, these cars evoked the spirit and excitement of the American dream — and the appeal still stays with collectors and muscle car fans today. Are you ready to test your knowledge of some of the slickest hot rods out there? You may be surprised by what you already know — and what you had forgotten about the cars of an era gone by. Test your knowledge right now. 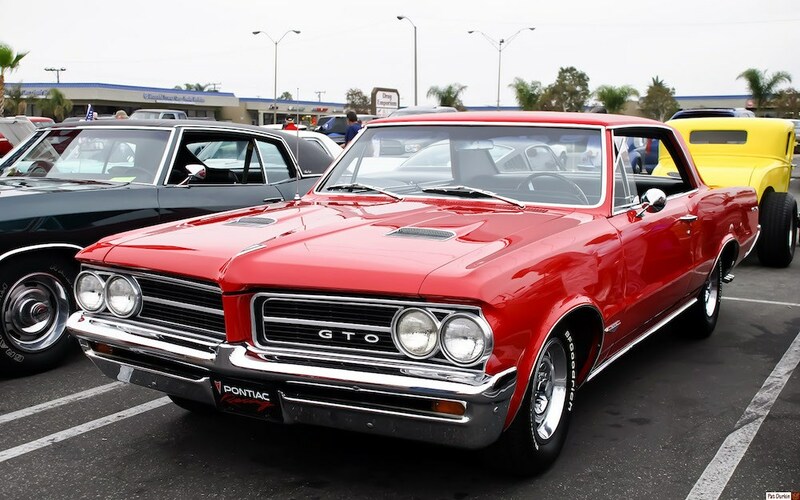 Hit the road with these sweet muscle cars that made a mark on history; take a joy ride down memory lane with these 10 Amazing Facts About Your Favorite American Muscle Cars. Let’s get those engines roaring now! The 1967 version of the car used Mercury Cougar tail lights while the 68 edition of the vehicle used the tail lights from the Ford Thunderbird. A minor change that made a major impact on the look and feel of the now iconic car. 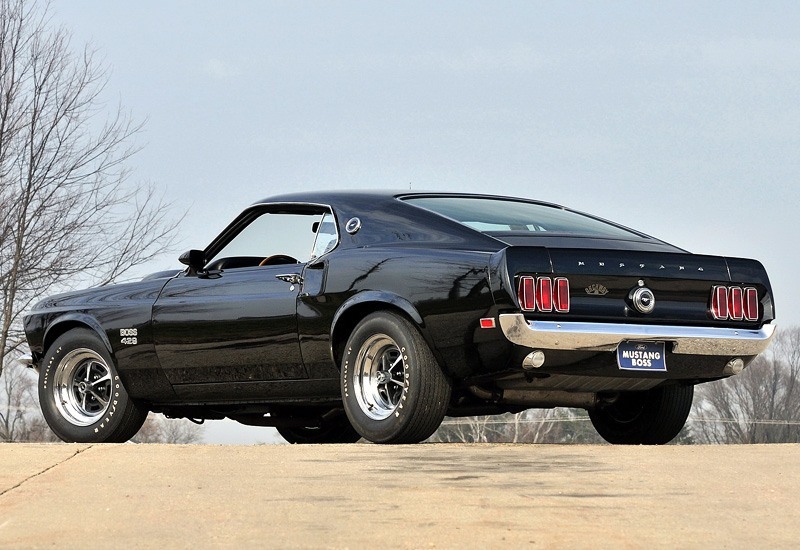 1969 Ford Mustang Boss 429 – Back in the golden age of NASCAR (the 60’s & 70’s) all a manufacturer needed to do to have their car qualify for the race track was to sell 500 of the production models. 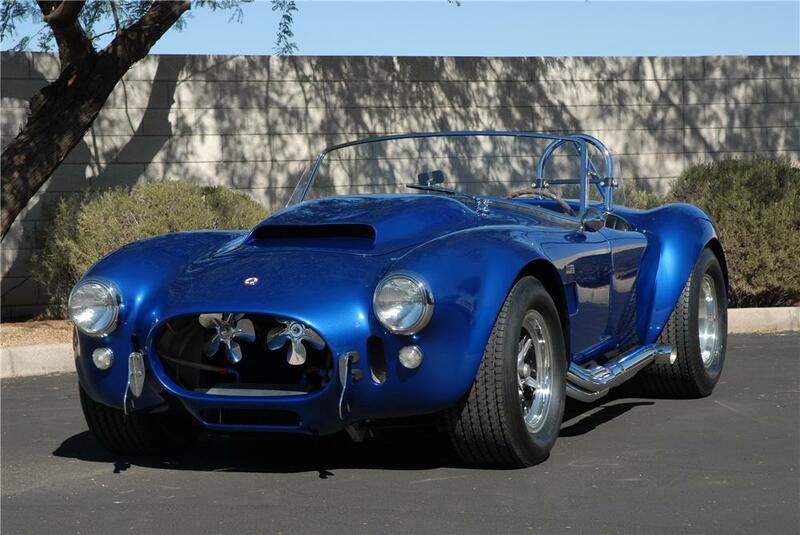 Couple that with the fierce desire to be “the fastest car on the market” and you get the equivalent of ready-made race cars sold to anyone with the money for the down payment! This was later deemed to be not the brightest idea and they changed the way they did things – but it was already too late! There were already thousands if not millions of beastly cars such as this Boss 429 out on the open roads. What Happened Chevy? – In 1983, Chevrolet began working on a concept for a Corvette. But the Corvette design never moved into production. Why, you may wonder? Chevrolet ended up having to change the design of the car based upon more strict regulations for emissions. The prototype of the car had myriad glitches that would make it difficult for the Corvette to pass the new emissions standards. Today, you won’t find these cars anywhere in the world except in the National Corvette Museum. That’s because all but one of the cars was destroyed after Chevrolet abandoned the design. 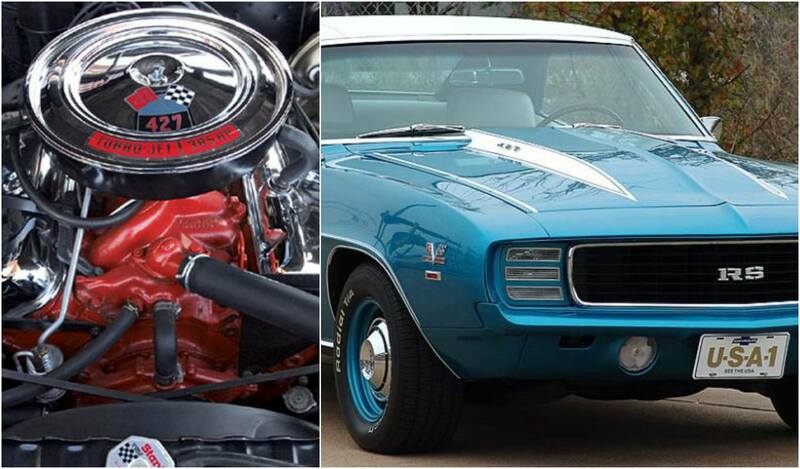 Camaro Dreaming – In 1969, Chevrolet introduced the Aluminium 427 V8 engine, and they gave it a home in the 1969 ZL-1 Chevy Camaro. This was a fitting engine for the sweet, slick Camaro because the engine was designed as a racing engine to be used in cars in the Can-Am racing series. What’s cool about this car for collectors and muscle car enthusiasts, however, is that it looks like any other Camaro in the 1960s-1970s on the outside. It doesn’t have any of the ZL-1 emblems on the external of the car, so the only way you know the car is the 1969 ZL-1 Camaro is by looking under the hood! Solid As A Buick? 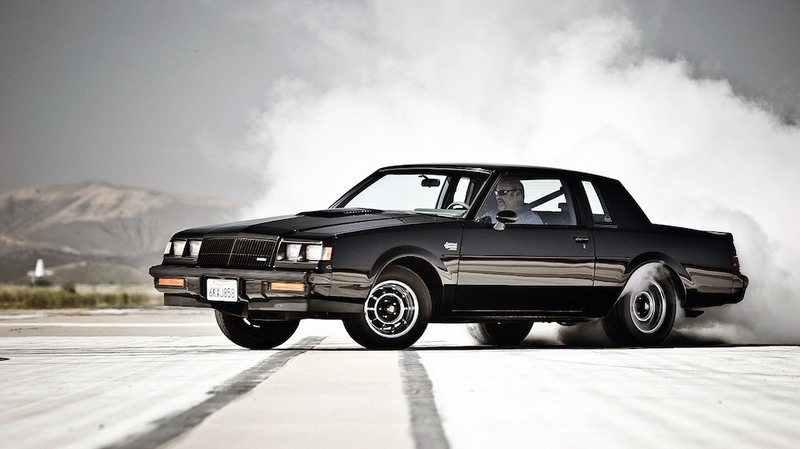 – Buick produced the slick and solid GNX—and Pontiac decided to up their game. 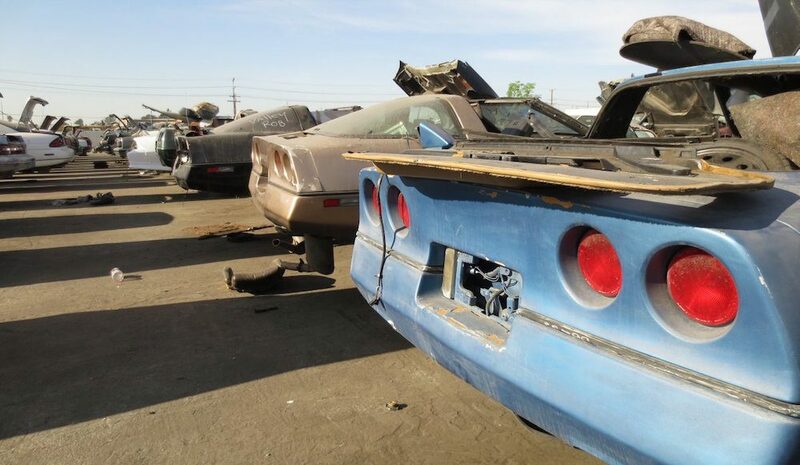 They were looking for a new home for their Turbo V6 engine. In 1989, they introduced a 20th Anniversary edition of the Pontiac Trans Am, which featured engine capacity of 250 Horse Power. Today, that engine is a mighty force in that little car—with great potential for burning up the rubber on the road. It is translated from the Italian phrase “Homologated for Grand Touring.” And why Italian? That’s because the name for a touring class of vehicles was made a routine name in via the well-known Italian-made Ferrari—the 250 GTO. Charging Ahead… – In 1969 Dodge began selling the Charger Daytona—instantly recognizable by its rear spoiler. You couldn’t miss that spoiler it was so big. What as the reason for such as massive spoiler–both in depth and height? It was an interesting decision for sure! Engineers designed it this way to give more mobility for the trunk lid. Passengers could open and close the truck fully without any obstacles, which also happened to be a real NASCAR deployed in all of its racing cars at the time. 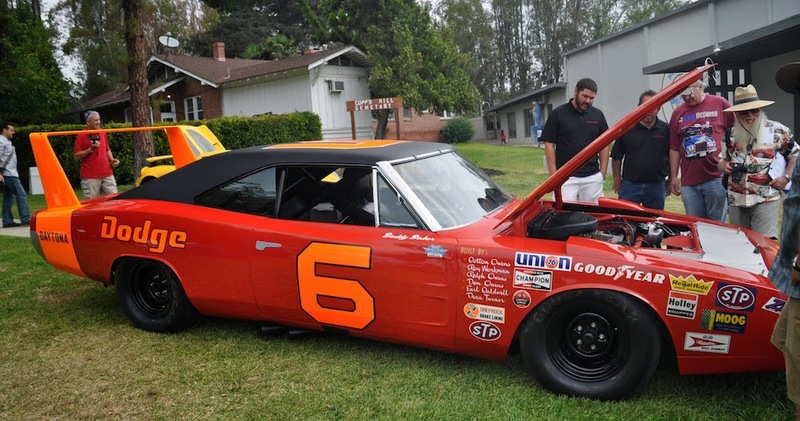 Essentially, buyers were getting a car that NASCAR would approve on its racing tracks — and there was some appeal in having a car that was so close to the design that NASCAR would give a thumbs up to! Part Of The Pack – There were some interesting names that came out of the 1968 class of cars from major dealers like Dodge and Plymouth. Branded to grab the attention of the car-buying world, we’re not so sure they brought more people into the family. Do you remember that time? 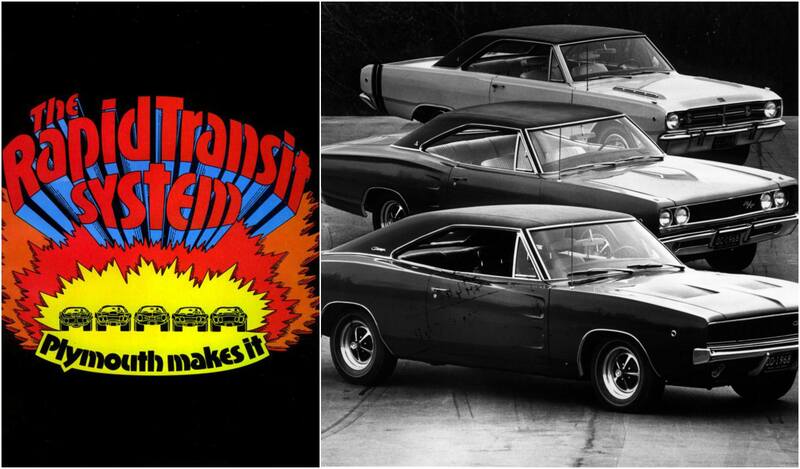 Dodge called their line of cars “The ScatPack,” while Plymouth called them the “Rapid Transit System.” Both evoked very different feelings—one for being part of an exclusive group of friends and the other for speed and efficiency.